Rick was born in Denver and grew up in Lakewood. After earning BSBA, MSBA and JD degrees from the University of Denver, he began his career at Harbridge House, a Boston-based management consultancy company. 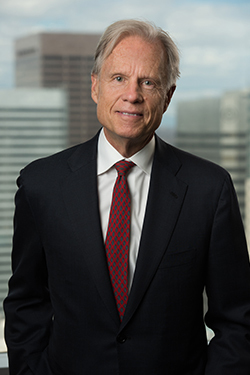 Rick returned to Denver and soon after founded Ross Consulting Group, providing real estate-related counsel to private and public clients worldwide. Subsequently, he created and managed a number of successful real estate co-investment funds as president of Foundation Properties Inc. He is a board member of several publicly-traded investment vehicles including the Westcore Mutual Funds complex, ALPS ETF Trust and Principal Real Estate Income Fund. Skiing at Winter Park and fly-fishing on the Colorado River. The first edition (2000) of this book, authored by Yale’s Chief Investment Officer, offered what at that time were new thoughts about asset allocation, addressing risk and selecting money managers. The book had a significant influence on the structure and strategies I employed as an investment adviser.